What causes ragweed allergy and how to avoid it? One of the primary reasons for seasonal allergy is considered to be ragweed allergy. 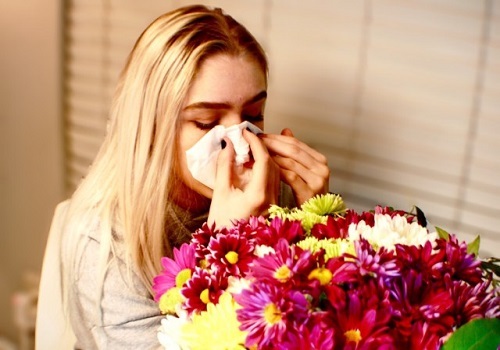 When a person breathes in the pollens, their immune system may react as if it is an illness-causing substance, and hence may experience symptoms. Ragweeds are soft-stemmed weeds that are tough and hardy. They grow in the United States, usually where soil disturbances occur. They usually grow in rural areas as well as urban waste places. An allergy is the overreaction of the immune system to an allergen. When a person breathes in the pollens of ragweed, the allergy gets triggered. There are 17 kinds of ragweeds that release pollens which are active triggers for some people. In the normal cases, the immune system defends our body against any kind of foreign organisms like bacteria or viruses so as to ward off the illness. When ragweed gets into the human body, the immune system produces chemicals fight against the pollen which results in a reaction. People with ragweed allergy are also sensitive to certain kinds of food items like bananas, cantaloupes, zucchini, sunflower seeds etc. Also Read: How allergy disturbs entire immune system? If you go to the doctor, he usually diagnoses the medical condition. On the basis of the symptoms, a doctor will be able to detect your allergies. To confirm the condition, a doctor can suggest some tests. It involves placing a small drop of diluted ragweed pollens onto the skin and then making a prick. If a person is allergic, he/she may experience symptoms of this allergy. Check pollen counts daily and avoid going out for an extended period of time. While you are driving, keep your windows closed. Take anti-allergy medications as advised by the doctor. Shampoo your pets regularly if they go outdoors to avoid bringing in the pollen. There are medicines like antihistamines decongestants etc available in an online pharmacy that help in improving the symptoms. You can make some lifestyle changes also. You can get allergy shots if you are not getting great results from medications. That’s all about ragweed allergy folks!!! Be aware of the active triggers of ragweed allergy. Share this with your friends and family to create awareness.